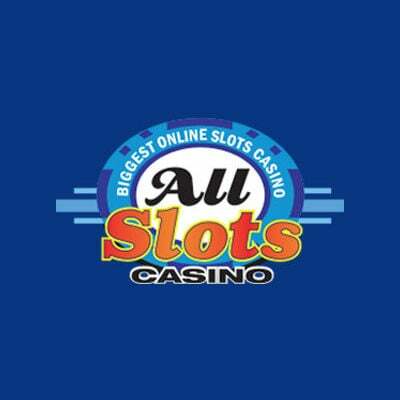 All Slots, as the name suggests, is all about the slots, all about the games and all about the bonuses. With over 650 games powered by Microgaming, the master slot makers. They also offer access to 14 progressive jackpot slots games, which is a big draw for casino players. Join All Slots Casino today and become a member of one of the most respected online casinos. All Slots launched in 2000 and it’s been a popular online casino with dedicated slots players ever since. The casino holds the seal of approval from the eCommerce and Online Gaming and Regulation Assurance (eCOGRA), the independent non-profit standards authority of the online gaming industry, specifically overseeing fair gaming, player protection, and responsible operator conduct, and licensed by the Malta Gaming Authority (MGA). You can be expect fair treatment at all times. All Slots Casino houses over 600 unique Microgaming games for you to choose from. The choices are endless!There are Classic 3-Reel Slots and 5-Reel Video Slots, with Paylines of 1, 3, 5, 9, 25 and 40. So, every game is chock full of features feature like including bonus games, multipliers and scatters. These games are available on multiple platforms, such as Desktop and mobile devices. Banking has never been easier! All Slots offers you a wide variety of banking options you can use with a currency that you prefer. The banking options are secured by the 256-bit Secure Socket Layer (SSL) Digital Encryption Technology, which ensures your personal information and money is protected. Some of the banking options available are Visa, NETELLER, MasterCard, Skrill and direct bank transfer. When you sign up to All Slots Casino, you will be ushered in with a new players Welcome Package of up to $/€1,600. You’ll also be spoilt to promotions on a regular basis to give you a better chance of winning. All the games at All Slots Casino are powered by Microgaming. They’re considered the leader in online gaming development, who also ensure that you are spoilt with new games every single month. Assistance is available 24 hours, 7 days a week. The professional call centre agents will assist you in a language that you prefer. You can get in touch with the call centre via email, the toll-free telephone number or Live Chat. All Slots also supports a number of languages including; English, Swedish, French and German. All Slots restrict countries like Afghanistan, American Samoa, Belgium, Denmark, France, France Metropolitan, French Guiana, and French Polynesia. Additionally, Hong Kong, Hungary, Iran, Iraq, Israel, Italy, Mayotte, Palau, Portugal, Reunion, Saint Barthelemy, Saint Martin are excluded also. Along with Saint Pierre and Miquelon, South Africa, Spain, United States, United States Minor Outlying Islands, United Kingdom, USA, Wallis and Futuna also.